After escaping catastrophe in New York City, the seven friends have returned to their home: Los Angeles. 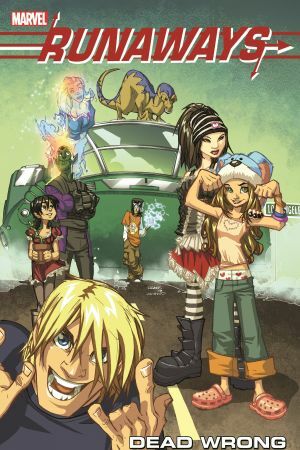 But all is not well in the City of Angels, as a group of soldiers from Runaway Karolina Dean’s home planet arrive with guns blazing, demanding that their fellow Majesdanian be handed over to them for some unknown offense. Though the otherworldly warriors are repelled, the clock is ticking down to the moment when they’ll rally and return. As the Majesdanians struggle to regroup, the Runaways begin to fall apart, squabbling over the best course to take. Some advocate direct action, others diplomacy. Distressingly, Karolina considers just giving herself up! 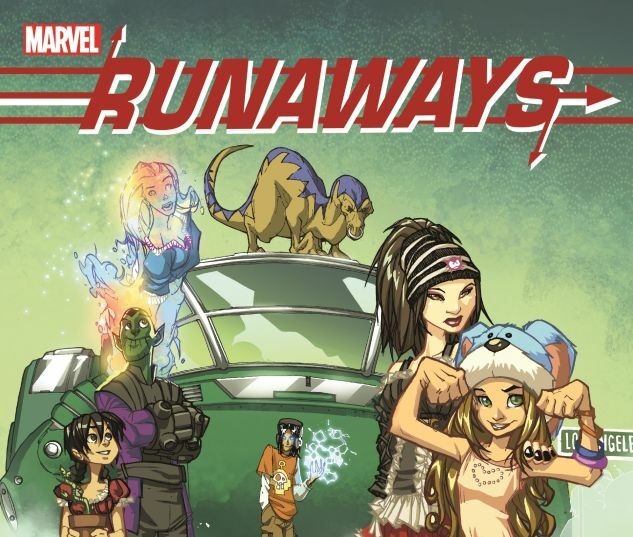 How can the Runaways face their biggest threat to date when they’re having trouble facing one another? 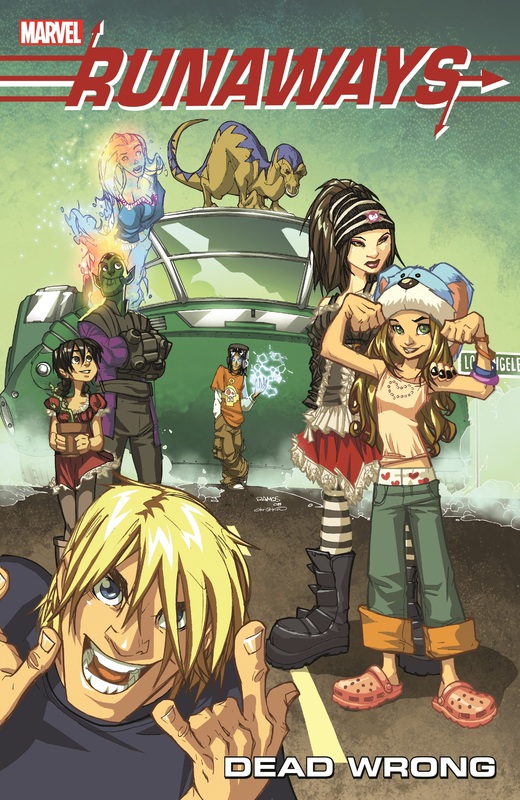 Collecting RUNAWAYS (2008) #1-6.